Stay Right on the Mountain This Summer and Fall! 'Click In' to your bindings on the back deck and take a 'free run' down BC Skiway to the Gondola or new high speed Christie II quad in the morning. 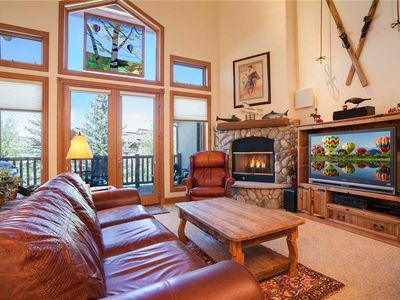 At the end of the day, 'click out' of your skis and step into the Condo. It doesn't get any closer than this! 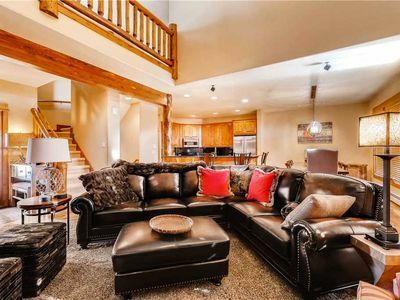 Located on upper Storm Meadows Drive (just a 30 minute drive from the Steamboat/Hayden airport), this three level townhome is in a private, peaceful setting perfect for relaxing after a great day of skiing or hiking. 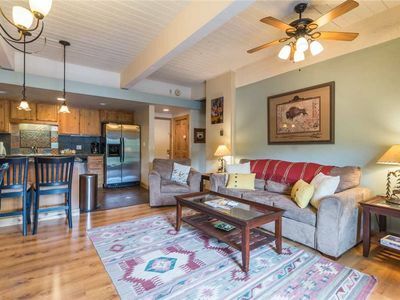 Just right for two families to share,this townhome has been recently remodeled throughout. 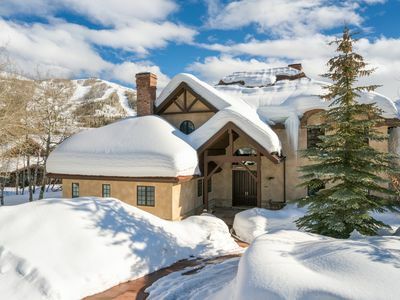 Decorated in warm, neutral colors with vintage ski memorabilia, you will love returning to this lovely home after a day on the mountain. 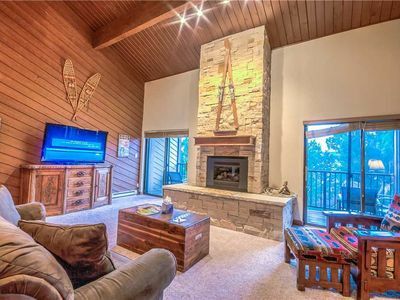 There are four bedrooms and three bathrooms, as well as three decks with mountain views. 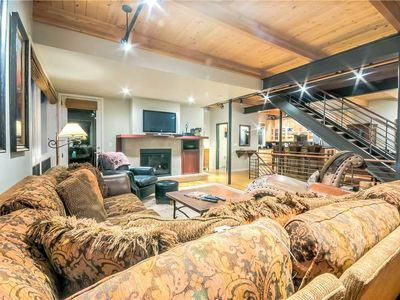 The largest deck on the main level is perfect for apres ski cocktails,barbecuing,or just soaking up the beautiful surroundings. The decks also provide front row seats for fireworks on New Year's Eve or other occasions. 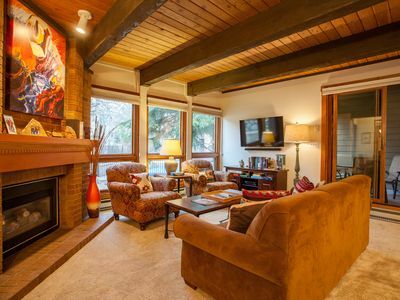 The lower level has two bedrooms. Bedroom one has a queen and a twin bed, bedroom two has two twin beds. There is a shared bath, as well as a washer and dryer in the hallway. 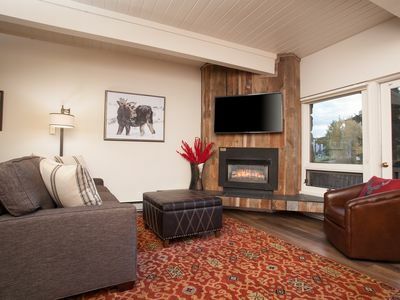 Step right out onto the ski access trail from the lower level bedrooms. 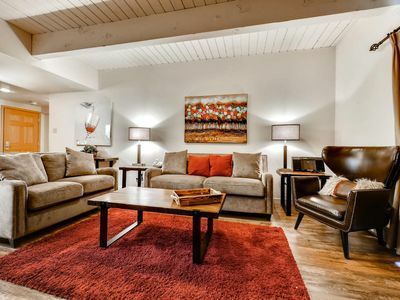 On the main level is the living/dining area and the kitchen, which has new appliances,walnut cabinets, and is fully appointed for those times when you feel like 'dining-in.' The top level (with skychairs on the deck!) 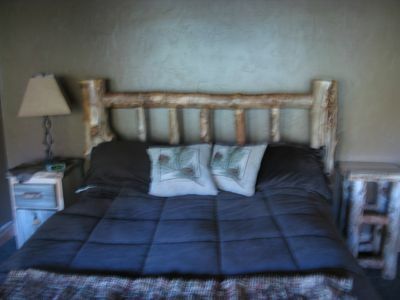 has two king bedrooms; the master has a private bath, and there is another bath in the hall for the fourth bedroom. 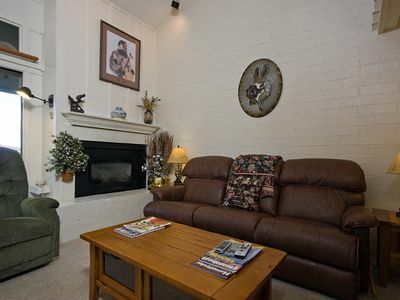 In addition to the tv/dvd/vcr/stereo in the living room, each bedroom has a tv and dvd player. There is also a video game system with games in one of the lower level bedrooms. 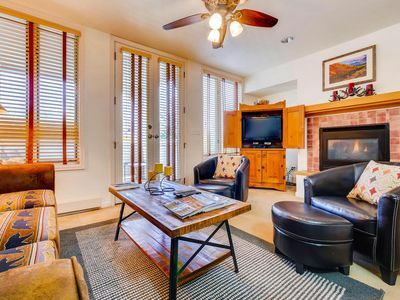 If you are ready for a hot tub or a swim after your day of activity, a short walk takes you to the heated year-round outdoor pool, hot tub, sauna, workout room, and tennis court (tennis summer only). Use of these facilities is free to guests. For those who would rather venture into town for dinner instead of cooking, there is a free shuttle bus to the base area and town every 15 minutes. Or if you would rather, you can just drive the 10 minutes to town on your own. 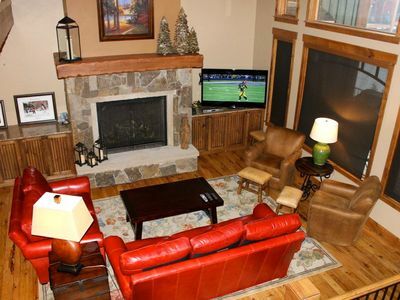 We find our mountain home to be a wonderful family get-away, and we hope you enjoy it as much as we do! 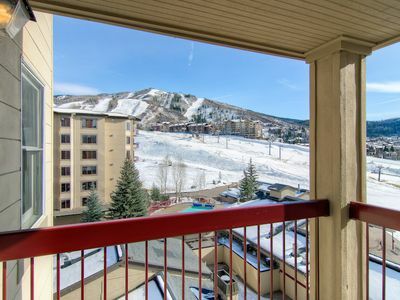 SK204 by Mountain Resorts ~ Short Walk to Mountain Village~Hot Tub! 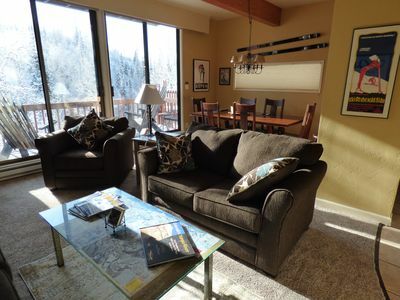 ST512 by Mountain Resorts ~ Walk to the slopes, restaruants & bars! 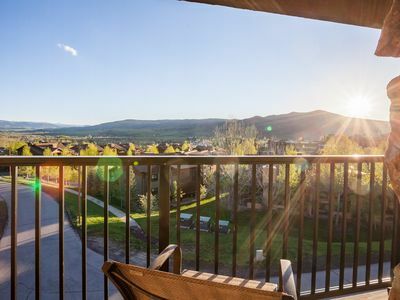 CA417 by Mountain Resorts: Updated Top Floor Condo with Amazing Views! 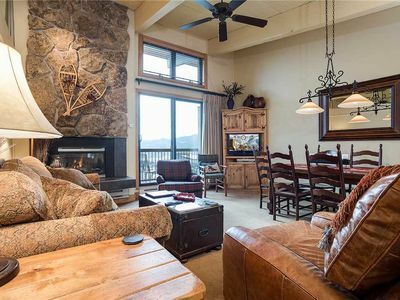 X2782 by Mountain Resorts: Hiking & Biking close by~Outdoor Pool & Hot Tub~Great location! 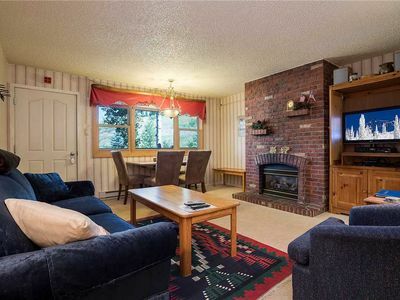 2 Bedroom Condo, Community Hot Tubs, Winter Shuttles & Prime Location! 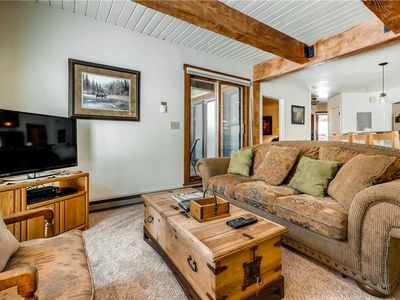 Plenty Of Room For Everyone And Fun Too! 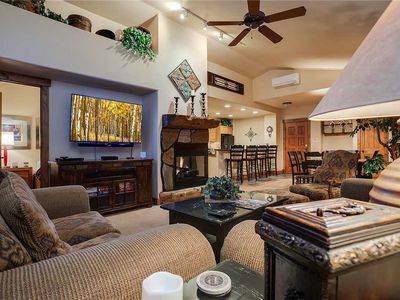 Standout Summer Townhome - Private hot tub with beautiful mountain views.